Get Windows 10 app showed the message “Unfortunately, this PC is unable to run Windows 10“. The display manufacturer hasn’t made your display compatible with Windows 10. Check with the manufacturer for support. Then, follow the tool instructions to upgrade to Windows 10. In my case, I had no problems with the installer. If you get the Compatibility issue message here too, use the option to create an installation media and upgrade through a USB flash drive or an ISO file. After the upgrade, you will need to install the latest NVIDIA driver. 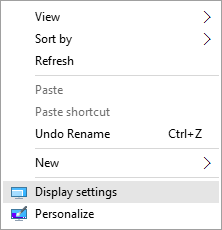 By default, Windows 10 uses Microsoft Basic Display Adapter. Otherwise, search for your driver here: Download NVIDIA Drivers. Install the NVIDIA driver and your done! If everything is fine, you should see your NVIDIA listed under Display adapters in Device Manager. Some users executed the installer with the Troubleshoot compatibility option. In my case it was not necessary. 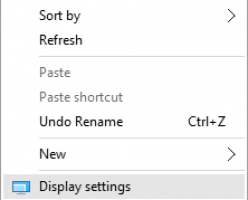 If your screen resolution is not set automatically, you need to change it manually. Go to your Desktop, right-click your mouse and select Display settings. 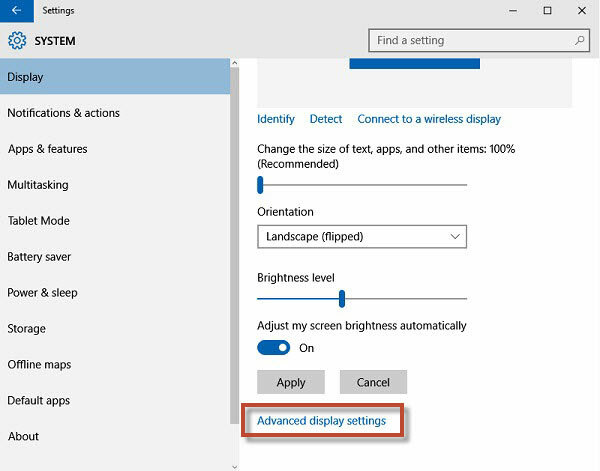 Go to the bottom and select Advanced display settings. Select your screen resolution from the drop-down menu and click Apply. For GeForce Go 6 or 7 Series (Notebooks) the latest driver is 179.48 from Feb 11, 2009. However, it is possible to use the 307.68 driver available on Windows Update for Windows 8.1. It was reported here to be compatible with the GeForce Go 7300 and Windows 10. Also, it worked perfectly on a GeForce Go 6800. These are cabinet files (.cab). So, you will need to extract all the files in order to run setup.exe. You can use the File Explorer or an application like WinRAR. This last procedure worked on a GeForce 7150M / nForce 630M for 32-bit and 64-bit systems. These are all the supported products for the drivers included in the post. The check mark icon next to a NVIDIA model means that a user successfully installed Windows 10 and leaved a comment 😃. Yes, but the new Windows 10 will not be activated. You will need to buy a valid license. I did download windows 10 using the media creation tool, but the screen resolution is wrong. 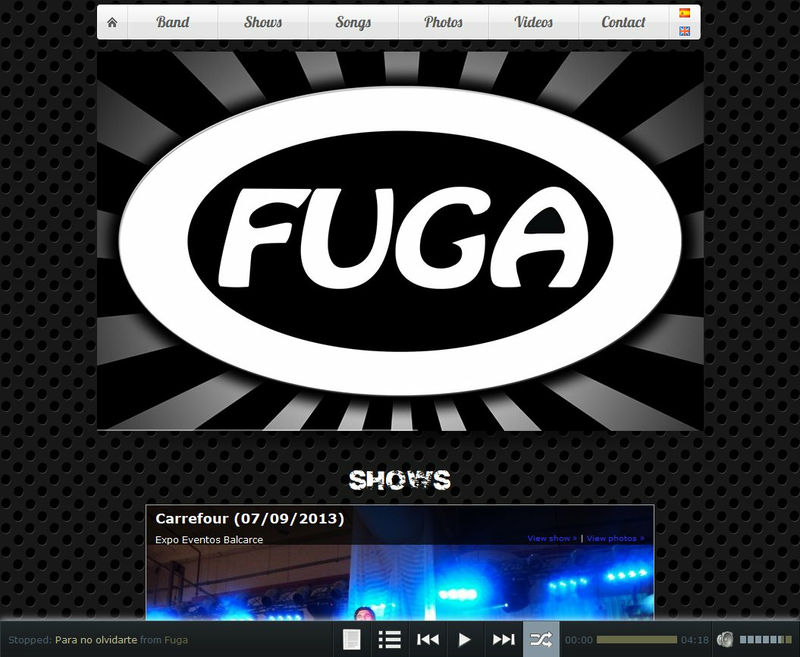 It’s at 100% and some web sites I go on can’t display the complete screen shot. I have a GeForce 6150SE nForce 430. Fred, I just added to the post how to change the screen resolution. I’m glad that what I sent you by mail worked. I downloaded the update prior to installing windows 10 then changed the resolution . now everything is working fine thanks for the tips guys. Thank you so much for posting this fix. It worked perfectly for my NVIDIA 7300LE card. I used your link to download the new video driver first which took some time due to its size. I then used the the link for your manual windows upgrade which took many hours to download and install Windows 10. After the upgrade finished, I installed the new video driver and it is all working perfectly. It all went smoothly without problems. Thanks again for making it possible. Question: If this Nvidia driver update fixes the issue of being able to download win 10, why not just download the driver update and then download Win 10 normally? When you upgrade to Windows 10 it overrides your graphics card driver, since it thinks it’s not compatible. Thus, after upgrading you need to install the NVIDIA driver. If you do it before, it won’t change anything since the previous Windows will still see it as a Compatibility issue. Ivan, thank you very much for researching the problem of installing Windows 10 with a Nvidia driver issue. I followed your scenario exactly and had absolutely no problems with the install. Even though I was a little nervous I should not have been. Thank you for your efforts which will obviously help many more folks like me. To them I say, follow the instructions, they work! Excellent help. Well done and Thanks. I have an old Dell dimension E520 NVIDA 7300 LE and your plan worked perfectly. I had read elsewhere how to do this but as usual the geeks speak another language and are actually not that helpful as they try to show how smart they are. This was brilliant and so simple to follow. Again well done and Thanks mate! Will that work with HP PC m7360n and GeForce 6200SE TurboCache (TM)? Yes, the GeForce 6200SE is a GeForce 6 Series. THANK YOU!!! I did what you said with first download. then fixed my resolution and things were a bit blurry so i then downloaded your second application and that clear everything up and made it look sharp. thanks sooo much for this help. I only have one problem….everything seems to be slow loading…what do you recommend? Hello! I had no warnings about driver prior to installing windows 10. But after the install the system was unable to detect my geforce 660M graphic card. Instead It is Intel HD 4000 thats showing up in the list. I f I choose hidden devices I can se my Geforce card, but in properties it says I have to connect it to the computer. Any idea if reinstalling windows 10 will solve this? Hilde, that graphic card is not related to this post. However, I’d try to download and install the latest driver. You can find it here, in the VGA / Graphics section. Your card is a GeForce 600M series. This method worked like a charm for me. I had to download the GEForce driver as well. My old LG monitor looks better than it ever has, and the Win10 installation went smoothly. Thank you so much for this workaround. This post also helped me as well. I had Windows 7 and was also getting the error message for my NVIDIA system. I have the GeForce 6100 n Force 405 display..after i followed your directions step by step, and used the 64 bit downloads. i am successfully using the Windows 10 operating system..but, (there’s always a but, lol) sometimes my start menu and Cortana doesn’t work. Its not like i have to have Cortana, but i cant get to my main screen without it. I’ll get a critical error message in a green box that says: Start up menu and Cortana are not working, we will fix this for you upon next sign in, or something like that. But the only option is to sign out and sign in, i do this several times, and the only thing that works is to shut down and reboot..not restart because restart does not work, i have to totally shut down and turn my pc back on..Do you maybe know why this is happening? And what i can do to fix it? I followed all your steps above..so im not sure what i did wrong. Btw i have an Acer Aspire AMD Athlon(but says e machine at start up) if that helps at all…Thank you so much for your help..your site is the ONLY site that made any sense!! as I posted earlier, all went well with suggested Windows 10 download and driver installation. I have one minor problem that I noticed. If I put my computer to Sleep, when I come back to operations, I lose the driver ability to provide a nice font and resolution (it is too big for the screen). When I reboot, all is well again. I have been on the web and searched and tried several things that did not work. I followed the steps you took and the setup flowed without any problems at all. You have made me very happy!! thank you once again. will this work with nvidia geforce 7300 se/7200 gs? I have window 7. thank you for your help. Yes, the GeForce 7300 SE / 7200 GS is a GeForce 7 Series. I have a nvidia geforce 6150 nforce 430 and i was very sad that i would not be able to upgrade. Your tutorial solved my problem, windows 10 is running fine on my computer. Thank you very much! Guys that haven’t upgraded yet, this method really works, follow the steps and everything will be fine! Did you install the NVIDIA driver included in this post? Be more specific, what do you mean by it is not working? I have a desktop with Nvidia 7600GS graphic card. I have successfully installed Windows 10 but I cannot install the latest graphic driver. Always fails in the first step of installations which is check the compatibility with the system. Jorge, which message do you get? Is it “This graphics driver could not find compatible graphics hardware.”? I was trying to install the x64 driver instead of x32 one. All worked out perfectly and thank you very much for your help. Hi Ivan, I successfully downloaded windows 10 using the media creation tool, I did have to adjust the screen resolution as you described. I have a GeForce 6150LE. Thanks for the very informative post. 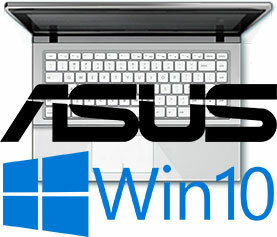 I have an Asus notebook KV55D- SX066D with nvidia GeForce 610M 2GB. Is this a 6 series card? Your card is a GeForce 600M series. You can find the drivers here: NVIDIA drivers. I have this issue with my VAIO VGN-AW21S. Video card is GeForce 9600M GT and that is ON SUPPORTED list, but after upgrade from Windows 7 to Windows 10 was installed Microsoft generic driver and is not possible install official latest drivers for Windows 10 from nvidia.com. Solve someone this issue with 9M series? There are some solutions for the GeForce 9600M GT issue listed here. Which error do you have? Latest Windows 10 driver for GeForce 9M Series can be found here. Thank you for reply. I have no HEX error, only austere text from nVidia driver installator: “You have not compatible device in your computer” with one option for click – Finish. I’ll try workaround with ListDevices.txt. I’ll let you know. Trick with manually edit nVidia driver’s DeviceList and inf file with my Hardware ID is not working… installation failed with: Is it not possible update driver, but compatibility check before installation now works – HW is OK. Thanks. This procedure work for me without a hitch. Thank you for your assistance. Having the same problem, I followed your advice to install Windows 10 using the Media Creation Tool. It installed without complaining about the NVIDIA display. I then downloaded and installed the latest GeForce driver and all seems to be well. NVIDIA GeForce 7025 / NVIDIA nForce 630a; thanks for this helpful information, I’ve been searching the whole day for a solution to my low resolution issue of my old desktop PC after I just upgraded my w-8.1 to w-10. Just followed all your instructions… and my problem solved! Thanks mate. I have an Nvidia GeForce 6800 – this fix was easy and worked perfectly! Thank you for such a brilliant solution. This is brilliant! I had spent ages with this problem, and had almost given up! It worked perfectly for me – installed Windows 10 using a USB stick, then downloaded the NVIDIA drivers. Fantastic! Thanks, matey! Excellent, worked like a charm first time. I upgraded my Dell Inspiron 9300 with Nvidia GeForce Go 6800 from Win 8.1 to Win 10 using this method… worked perfectly. After upgrading to Win 10 I used the GeForce Go 7 driver 307.68 from above and I have the full 1920 x 1200 resolution. I did not have the resolution change after sleep problem some have mentioned. Thanks for your help. I have GEFORCE GO 7600. I have installed Win 10 and I make it with the 179.48 driver. I am using NVIDIA GeForce6150SE/nforce430 and running it in windows 10 64bit OS. Now which driver i require to install in my pc to get the correct resolution? I have a GeForce 7900 with two monitors (extended mode), WORKS PERFECTLY . I have a Dell Dimension E651 with the standard GeForce 7300 LE. Your instructions were easy to follow and the upgrade worked perfectly. Thank you so much! Outstanding help! Only place that really explained in great detail how to fix this problem. Saved us a bunch of time and frustration. I bought you a few beers! Thanks. Gary, thank you very much for your donation! 😃 I’m glad I could help you! I’m trying to help my blind friend download windows 10. He has NVIDIA GeForce 7025 / nForce 630a. I get message graphic software not compatible with this version of windows, and also can not find compatible graphic hardware. Does this mean he needs to get a graphic card and if so what do we need? Kris, for the first message you need to check what Windows version do you have (64-bit or 32-bit) and use the corresponding driver. If after that you get the error “This graphics driver could not find compatible graphics hardware”, try this: previous comment. HP xw4200 with a GeForce 6800 which must be around 7 or 8 years old if not older and Windows 10 said NO. Followed the directions here and installed Windows 10 32 Bit. Eu baixei esses dias o Windows 10 Pro 64 Bits. Só que ele venho tudo em Microsoft Basic Video, Audio, etc..
Quando vou reproduzi um filme, ele começa travar a imagem, e quando vo abre gameplay need for speed ele trava lentamente. Emtao baixando esse drive de video vai solucionar o problema? Wesley, se você tem um dos modelos que mencionei, sim. After following Ivan’s advice for a successful Windows 10 upgrade, I later found that Corel PaintShop Pro X3 was not working. If anyone finds the same problem, I found that the solution is to install Corel Patch 5, available here: PSPPX3_Patch5.exe. My only outstanding Windows 10 problem is that I get a memory reference error on windows closedown re Creative Sound Blaster X-F “volpanel.exe”. Any ideas? This worked perfectly for my grandson’s msi L730 megabook. The Media Creation Tool did bypass the problem where Windows 10 would not install because the Nvidia driver was not supported. I did get the OS installed, up and running “almost” fine. The problem with my particular HP dv6700 laptop is the native screen resolution was 1280×800. After the Win 10 installed, I was only presented with 800×600 and 1280×768. 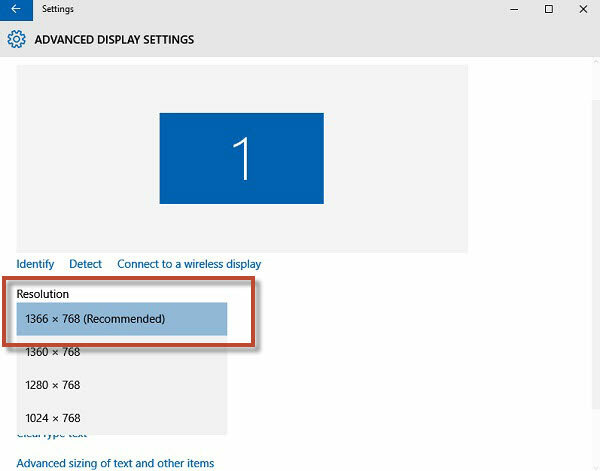 If your display was previously using one of these two resolutions, you should be fine. In my case, dropping back from 1280×800 was not acceptable. Icons were disproportionate and default windows would spill over into the margins (non-viewable area). I will be rolling my laptop back to Win 7 or Win 8.1 because I don’t see any other solution available, short of Nvidia getting a consumer conscious and updating the 7150M video driver. It’s a shame because this particular laptop continues to be very serviceable, especially after I installed a SSD. K0RC, I’m adding the solution to your issue for future users (since we used private messages). Use this driver for 32-bit Windows version: 179.48 Beta (32-bit) and follow the steps mentioned in the GeForce Go 7 Series (Notebooks) section. Your Windows 10 finally showed the display adapter NVIDIA GeForce 7150M / nForce 630M as expected. Worked great right from the utility, didn’t have to use external media. No NVIDIA error or need to manually change drivers for same. Only hitch was a message that Windows 10 disables Media Center capability. Prior to making the plunge I determined that Hauppauge’s WinTV V7 program would still work under Windows 10, so I could play my archived transport stream video files that way. And, since I was upgrading from a valid Media Center Edition license, after install Windows 10 downloaded its Windows DVD Player program as a free update! Ivan, you got a beer from me! I followed your procedure for a NVIDIA GeForce 6150SE nForce 430 (HP). Worked like a dream. Many, many thanks and Best Regards. Does it work with NVIDIA GeForce 6150SE nForce 430? Yes, it does. There are some comments here saying it worked fine on GeForce 6150SE nForce 430. This worked awesome for the GEFORCE 7600 GT. Thanks for whomever put up this post ! Downloaded and installed, nothing fancy at all, didn’t even need to reboot. Can’t understand why Microsoft couldn’t just get this driver instead of the crappy one. My eyes were killing me…. I have a Dell Studio XPS and shows both GeForce 9400M G and Geforce G210M in the Nvidia control panel with driver 341.92. I have the latest driver but I’m still seeing this issue in the Get Windows 10 app on my taskbar. Can you please tell me what to do Ivan? Olivia, follow what I mention in the post to install Windows 10. Then, install the latest driver. The drivers only matter when you are on Win10, not before. Thanks Ivan, but do u think your idea works for my case too? Mines Nvidia GeForce G210M / 9400M G Windows 7 64 bit OS. Does your media creation tool allow me to download windows 10 dump and install through a flash drive / iso file? Am I gonna have to reinstall all the drivers and programs again? First, the Media Creation Tool is from Microsoft. It will upgrade your Windows and you will maintain your files and apps. Your NVIDIA model actually has drivers for Windows 10, so you don’t need to worry. Hi there. I also have an Asus Notebook running a Nvidia GeForce G210M on Windows 7. The Windows 10 icon has just appeared for the first time on my computer. I was told previously it would not because Nvidia decided not to support the graphics card. I looked on the website and, as you say, there are drivers now listed for the G210M. But, it also says Hybrid Power Technology is not supported and is listed under Exceptions. My computer has Hybrid Power Technology. So, do you think an upgrade to Windows 10 will still work? I also noticed under the ASUS support FAQ that my notebook model – UL50Vg – is still not listed as supporting an upgrade to Windows 10. Thanks for any advice you can offer. Yes, the upgrade will work. Download the latest driver for your NVIDIA model and install it when you are on Win 10. 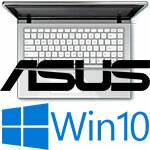 Your ASUS has no Win 10 drivers listed, but you can find many of them here. Regarding the message “Notebooks supporting Hybrid Power technology are not supported“, it is there since Windows Vista. The NVIDIA driver for my ASUS notebook also mention that and works fine. I have an Acer Aspire All-in-one series with Geforce G210M. Thanks to you, I have upgraded to Windows 10 with Microsoft Basic display setting. I found the 341.95 driver and tried installing but get an error message that there are no compatible hardware found. Not sure why. Please help. Check this comment from Rob. For the G210M you need to modify the NVIDIA INF file as explained in the installer section. You are my idol. My son has been asking me all week when will his computer be fixed. Your driver link to GeForce 7600 GT for Windows 10 did the trick. You saved my weekend. Happy holiday! and a Big Thanks! I’ve downloaded the driver for 6 series chip set for Win 7/8 and installed on Win 10. Works just fine. The default win 10 driver is just terrible, distorts big time. The Nvidia tech support said that it’ll not work in Win 10. However he was more than happy to help me buy another one. I asked him if he’s going to help me buy a card without an Nvidia chip. Thanks for all the help. The last link (179.48 Beta) worked for me. I have an Acer Aspire 4520 with Nvidia GeForce 7000M / nForce 610M display adapter. Since I’m running Win-10 x64, I chose the x64 version. The display flickering and other issues disappeared after this install. I faced some difficulties after upgrading my Dell E6400 from Windows 7 to 10 (using free upgrade by Microsoft). My windows 10 went wrong several times after restart or shutdown so that it was not able to start again falling in a process of “starting” for eternity. I even had problems with signing out or putting my old man in sleep, because of the tedious useless process for singing in. So each time I had to shut it down forcibly for several times waiting for a clean and complete start up. First I decided to fix it by updating the display driver (Nvidia Quadro nvs 160m) with the latest version, unfortunately nothing happened; until an idea came to my head out of nowhere, to change the Nvidia settings in “Nvidia control panel”. I went through Nvidia control panel>3D settings> set PhysX configuration> and then I choose “Auto-select (recommended)” in the PhysX Processor select box. I’m not sure I entirely fixed the problem however, I shut down/restart/logout/hibernate my laptop for more than 10 times and it works pretty good. Outstanding, Ivan, and thank you! I had the 6150 LE and your method, your workaround worked flawlessly! Did the upgrade, windows installed the generic driver that worked until I was able to install the nvidia driver. Absolutely perfect! Just tried your Windows 10 driver fix for a GeForce 6150LE and it worked. Thank you very much. Big sigh of relief. everything is explained well except for the update to Windows 10. You are sure that the tool bypasses the incompatibility alert? Finally, with supports USB or iso you can ONLY do the upgrade? Fakendry, you just need to follow the Media Creation Tool wizard to upgrade Windows. You will not need to use USB/ISO, unless you have some error message on the wizard. Windows 10 work around worked for Nvidia 6800 GT, thank you. Thank You, got the message NVIDIA GeForce 7300 GS This PC Can’t run Windows 10, followed instruction worked perfectly. I can’t get this to work on my 7950 GX2. Have tried numerous combinations. Updated Microsoft Basic Display Adapter driver to 309.08 and message said update was successful. Reboot and unfortunately Windows indicates an error 43 message. Thanks for these super useful instructions and links. This helped me to perform a very smooth upgrade from Win 7 Pro to Windows 10. Sorry, I tried this – if I use the Windows 10 upgrade option the installation will finish but the system will not boot, because of the NVIDIA problems HP desktop S5000 Pavilion Slimline. 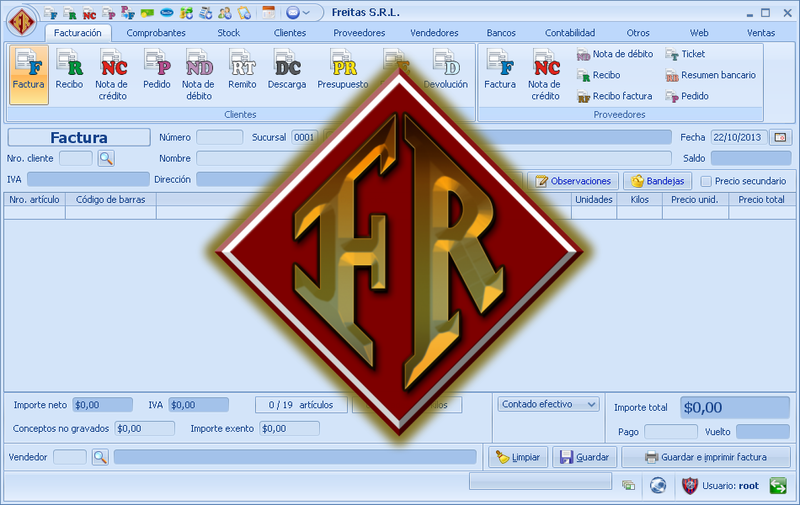 After 2 tries the system will reverse automatically to Windows 7. Nevertheless on the same PC I have installed VMware and I could install Windows 10! Microsoft has to do something. Your HP has a GeForce 6150SE, so it should work. I had some issues with Windows 10 installation caused by some programs that were not compatible. Try to uninstall some “not common” programs and the antivirus, you can reinstall them once Win10 is working. If that doesn’t work, try with the Win10 USB/ISO option. Optimistically installed a clean slate Windows 10 on a Packard Bell BV Easy Note SJ51, originally sold with Windows Vista Home Premium 32-bit. Unfortunately, the driver for the display, NVIDIA GeForce 700M / nForce 610M, was not recognized by Win 10. Found your webpage, which inspires and give me some hope. Will soon test, at least to give it a try. I have a GeForce 6 series card, and the links worked great, with them I was easily able to download Windows 10 and have the correct resolution. Thanks. Once installed the drivers found in the archive, Win8+10 nVidia 307.68.zip, all works now. Utilizing the max resolution with this card, fast refresh of the display, all makes the Win 10 a pleasure to work with, on this somewhat older Laptop. Great thanks for providing the solution! This solution worked for Motherboard ASUS M4N68T-M LE (NVIDIA Geforce 7025/nForce 630a). Hello and a merry Christmas. Also the ISO installation is always faster! And you have a media for later use. The activation process can be another issue – sometimes you have to call MS to get a free product key which in fact is more like a digital fingerprint. I was trying to upgrade my Windows 7 PC to Windows 10. However, after upgrading I am stuck with the Basic Display Adapter because I can’t install the nvidia driver using the package. The error is that “no compatible hardware detected” and my GPU is not in the device manager. I have searched through other forums and tried re-installing the driver in safe mode but its useless. Model used is GeForce 9300M GS, which is shown to be compatible with Windows 10 under the supported device page (on nvidia drivers page). Alex, for the error “This graphics driver could not find compatible graphics hardware” try my reply in this comment or follow the instructions on this video. Running Media Creation Tool solves my problem with a Nvidia GeForce 7025 / nForce 630a. There came a complete installation with WIN 10 Pro based on WIN 8.1. Before running the tool, the message was the same as you showed. I use a 32bit PC with 4GB RAM and a 19” Fujitsu/Siemens monitor 4:3 with 1280×1024 resolution. Thanks you. I wish you a peaceful Christmastime. I really loved how I encountered this!! YOU REALLY SAVED ME TIME & $$$. I don’t know how to thank you!!! My resolution was SO Bad! and my Original Resolution wasn’t an option which got me so mad that made me want to through it out the window. I want to say thank you!! I have followed the instructions above, I have installed Windows 10 Pro x64 ok and the Microsoft Basic Display Adapter has installed for my Geforce GO 7900gtx, downloaded the drivers via your links but it either says it incompatible or you have the most up to date driver already installed. Any ideas why it does not install? For the not compatible message, check this video. Let me know if that helped. I followed the video and managed to install the relevant driver for windows 10 thanks for all your help. I had the same problem as mentioned by Jorge, Beebow and Kris. I simply followed your instruction on this comment [ bcdedit /set pciexpress forcedisable on cmd.exe by administrator] and this worked right, very soon: it was simple and smart! So, special thanks, and Merry Christmas and Happy New Year. This perfectly solved my problem !! Perfect – worked like a charm. I had the same problem but I followed your steps and successfully installed Windows 10 and installed the latest graphic driver and now I’m running Win 10 without any problem. Thanks a lot for this important help. You are doing a great service with this website. I always recommend that the first step the user does is to check and make sure the monitor driver is the latest from the manufacturer. 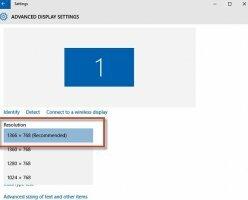 If they do not, sometimes Windows 10 will load “Non PnP Compliant Monitor” as the monitor driver, and the display will look like basic VGA or SVGA, or other problems may occur. Worked fine for a GeForce 6100 nForce 400. Thanks! seems to be working fine. thanks very much for the quick fix! Thank you so much!!! You solved my issue!!! Thank you so much. I had the same issue upgrading to Windows 10. I followed your instruction and used the media creation tool to upgrade. fortunately for me, though, I never needed to download the driver update because the original one worked perfectly. I have the NVIDIA GeForce 6150SE nForce 430. When I went into Device Manager and attempt to update, it said the system detected that the driver was up to date (version 307.83). Thank you for the post, you are absolutely brilliant…keep up the good work. The GeForce 309.08 Driver you posted worked well with GeForce 7025 / NVIDIA nForce 630a. Now I can use Windows 10 with the right resolution. Thank you so much. I had the Nvidia driver problems after windows upgrade. My solution was to fully uninstall the display driver then run the latest version of windows 10 ISO which I previously extracted to a folder. I selected the download and install updates button then agreed to the Microsoft agreement. At the ready to install page make sure the install windows and keep personal files and apps are selected. I had the problem of not being able to select these settings and it turned out I did not have the latest ISO version for my version of windows 10. Once you are happy select install. After installation windows had recognised and installed the correct Nvidia driver. This procedure is also what I do if I cannot repair windows using sfc /scannow or dism. I hope this helps someone. Thank you Ivan for a fantastic site and I am pleased to say I have used many of the driver updates you have provided and encourage every one to buy you a beer. Ivan just reading all the success you have had above. I have the same issue except with Nvidia 8800GT. Will the above drivers work? Thanks for the help and good work! Doug, you have a GeForce 8 Series. The procedure is the same, but use this driver on Windows 10: GeForce 341.92 (64-bit) | GeForce 341.92 (32-bit). Thanks for providing this information Ivan. I had NVIDIA GeForce 7050 / nForce 620i running on Windows 7, 64 bit. I used your links and followed your directions. I have successfully downloaded Windows 10 without any issues. (Though I will warn those that are going to do this that the amount of time to make the upgrade is huge. I ran most of the upgrade at night while I was sleeping, but it still took some daytime hours as well). Since I followed Ivan’s instructions exactly, this means I downloaded the new driver after I downloaded Windows 10. So, warning, the graphics before the new NVIDIA download are pretty rough on the eyes! But after installing the updated NVIDIA driver the graphics are back to normal. I have the same NVIDIA problem, and followed the procedure described here. At the end of the installation I got the message -Not enough memory to make a RAM disc, error code 0xc0000017. Looking into details: 0xC1900101 – 0x20017 “The installation faled in the SAFE_OS phase with an error during BOOT operation. F9 was the only option which got me back to the Win 8.1 I had before. My PC is rather old , MSI main board P6NGM-FD with Intel Q8200 and 4 GB RAM. I have a MSI graphics card, 128 GB SSD. Is there any hope for an upgrade to Win10? I upgraded to Win 10 on older PCs, so there is hope 😃. Hi Jan, as I remember this motherboard has single channel memory. It sounds like you have a bad or marginal DIMM. Run Memtest or another memory checker. Your PC is high powered compared to some of the PCs I have upgraded to Win10 32-bit. Do not give up hope, your PC will work under Windows 10. If the problem is not a DIMM, check that the CPU cooler is clean, and the CPU fan is running. CPU usage is high during an upgrade, so the extra stress can cause problems if the CPU is too hot. Then all kinds of strange error messages can occur. I was happy to find this site and hopeful about the outcome. However, Media Creation Tool hasn’t worked for me. Dell Dimension E521, Win7 x64, Nvidia 7300 LE. I tried install from online. Download finished > verified > created win10 media > “preparing” > “checking for updates” > “getting a few things ready” > checking for updates > “making sure you’re ready to install” > “choose what to install” > “installing win10” > “computer will restart” > then error: “Modern Setup Host has stopped working”. I click ok, and the Win7 desktop returns. Clearly Win10 upgrade doesn’t work. I tried installing 12 times. Even went as far as uninstalling Antivirus and firewall (after disconnecting from internet). Made no difference. The Modern Setup Host error happened only 3 times. The other nine failures returned no error messages. The install window after getting to the point of rebooting, or maybe 80%, simply disappeared, returning me to the Win7 desktop. The symptoms you see during the upgrade can have many causes, but let us start with the most common. The most common problem is that Windows 10 can not create the proper partitions on the hard drive. This problem will also occur if there are multiple hard drives in the computer with old Windows and other operating systems on them. It is very difficult to predict how many partitions Windows 10 will create when upgrading from Win7. I have one PC that has only one partition, and the next one that has three (System Hidden, Windows, System Recovery). Both upgraded from Win7, and both with nVidia GPUs. If the PC has more than one hard drive, temporarily unplug all of the drives except the Win7 boot drive. If the PC has only one hard drive, run Paragon Disk Manager or another partition management software and check the partition structure of the hard disk. It is the first step to finding the problem. Thank you very much !!! It help me very well !!! I have NVIDIA GeForce 6200 TurboCache model. Awesome! Thanks to you, I have Windows 10 working the way it should on my old Dell Inspiron 9300! My computer is now asking me for the product key which I now do not have. I could not upgrade and I followed your guidelines but now I can not proceed because it is saying I need to register my computer. Is the a way of by-passing that so that I can also upgrade to Windows 10. Please help, I really want to use 10 too. If you choose Upgrade this PC now in the Media Creation Tool, it shouldn’t ask you for a key. If your only option is to make a clean install through USB/ISO, you will need to buy a Windows 10 license. 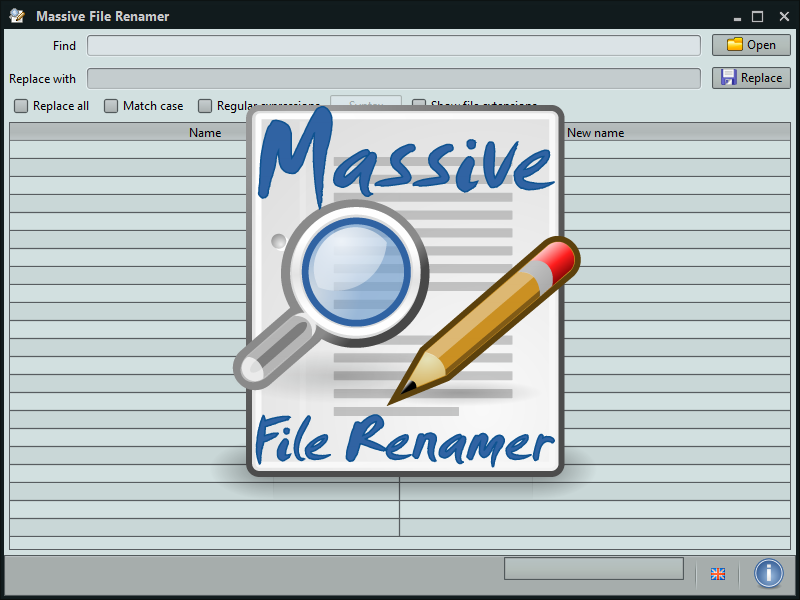 When a customer has lost the Windows key for their PC, I always recommend that they run the free program Product KeyFinder from the Magical Jelly Bean software firm. thanks for the great description – it worked for a ASUS G1 with a NVIDIA GeForce Go 7700. That was so very helpful! Thank you for sharing your knowledge. God bless. I have an emachine ET1331G (64-bit) with NVIDIA GeForce 6150SE video. Windows 10 does not install a driver for this video card. The driver 309.08 worked for me on Windows 10. Well done. Just upgraded my nvidia 7900 GS sucessfully following your advice and instructions. Old(ish) Dell desktop breathes again! Megabook L745 64 bit avec vista et GeForce Go 7600 en 32 ou 64 bit je ne sais pas. Update de vista à Windows 10 gratuit. Nvidia geforce le site n’avait pas de pilote (driver) mais votre procedure a marché trés bien. Je suis grand nul en informatique mais vous expliquez bien. Maintenant j’ai Windows 10 64bit avec GeForce Go 7600 et ca marche. I have GeForce 7500 LE and was able to fix the issue by download the latest version of driver from Geforce. Eventhough the silly GeForce auto detect suggested I’ve got the latest driver which is windows basic driver. I tried your solution and it worked. I am pretty sure I have a GeForce 6150SE nForce 430. Thanks Ivan for all the detail. Not a system techie but followed your instructions and it worked like a charm. NVIDIA GeForce 7100, nForce 630i. Why doesn’t NVidia do something about this? Seems like they are not interested. The recipe worked flawlessly. Nvidia Geforce 6100 nForce 405 on an old AMD-PC. W10 up and running in good resolution. This process worked very well for me. I have a GeForce 7950 GT card with an old Asus MB & 2 core CPU & the above process worked well using the series 6 & 7 drivers. No problems at all with the installation. I just wanted to say Thank you!!! I’ve been trying for weeks to upgrade to Windows 10, but could not find a solution to the Nvidia error. I followed your instructions and it worked perfectly. Thanks again!!! Thank you for your work! I successfully upgraded to Windows 10 from Windows 7 with my NVIDIA GeForce 6150 LE. Had to overcome some device issues not related to the graphics card, but am now up and running in Windows 10 with the NVIDIA 309.08 driver. Thanks again. Thanks a lot, worked fine for me with Geforce 7800 Gt. This has fixed the win 10 install issue for GeForce 7600GS card. Make sure you have a note of your windows licence key BEFORE getting stuck in the reboot update loop and then find you need to retrieve it from your pc settings. Good luck with your card. I never thought I’d get my old 2005 Asus Motherboard with GeForce 6600 and AMD Athlon processor to go from XP to Windows 10… but I did (thanks to you)… first I had to install Windows 7… but only in 32bit mode (the Athlon lacks some critical instructions for 64bit support)… then I ran into the Graphics issue with my 6600 graphics card until I found your link… I installed Windows 10 from a USB and did the 32bit upgrade link for Nvidia and PRESTO!.. thanks for your help! Hey I made a video about using these drivers with Nvidia 6 and 7 series products. Your post was very helpful, I have several older computers I had to update for friends and family. Tested with a 6800, 7950gt and 6150, all work great. Good post – thank you. I can also confirm that the GeForce 309.08 Driver (for Windows 8.1 x64) works for my Nvidia 7300GT in Windows 10. Ivan you are an amazing GENIUS!! Your solution works just perfect. I just installed both media creation tool and the last version of GeForce driver I downloaded from here and everything works great now! thanks! unbeleiveable not Microsoft and not HP Company couldn’t resolved this issue you are who did that and the great news I still have the same old manufacturer it’s working on the Windows 10 right now. From bottom of my heart I thank you sir. Installed GeForce 179.48 Beta driver in Windows 10 on my Acer Aspire 5633WLMi with GeForce Go 7300 graphics. After installation graphics card now visible in Device Manager and native resolution of my LCD display restored. You’ve earned a beer from me, Ivan. Worked for notebook with GeForce Go 7300. Used the 307.68 driver (32-bit). THANK YOU SO MUCH 🙂 I have a Sony Vaio that is far too good to scrap but win 10 wouldn’t allow my 8600m gs card to run. I installed 341.92 driver and all is good. Now for my desktop! Brilliant. I have a GeForce 7900 GS from 2006. Used the 309.08 64-bit driver with Windows 10 64-bit and it worked like a charm. I had already installed Windows 10 before I realized that I had a compatibility problem with my GeForce 6150 card. I went to the Nvidia web site and searched for an updated driver. The automated java applet the site uses said my driver was up to date. Then I found this fix. I skipped the Media Creation Tool fix, since I already installed Windows 10. I went to the next step and installed the GeForce 64 bit driver program that is posted on this page. I installed and let the program run. It searched, found and updated my drivers with no problem. I am grateful for the extensive, easy to follow, instructions that are listed on this page. Thank you for putting this fix out there where people can find it without having to revert to Windows 8 or below simply because of a driver issue. BTW: This site was listed in the top 5 search results on Google when I searched for help. Worked great for me too, on an old iMac 24″ Late 2006 NVIDIA GeForce 7300 GT 128 MB. I upgrade from Windows 8.1 64 bit to Windows 10 64 bit with no problems. It’s funny that according to Apple this computer was at end-of-life and not capable of running the newer OSX 64 bit operating systems. But here it is running the latest Windows 64 bit OSes perfectly. Maybe that’s because Microsoft just wants to sell software, while Apple really wants to sell computers. Many thanks 6600GT working well after following your instructions! Excellent post, concise. I’m no expert, but I have repaired and built many units over time, and even when you know what you’re doing, sometimes you get curveballs thrown at you. I was updating an older HP Pavilion Slimline for someone when I ran into this issue. The laughable 220 watt power supply and lack of space in the unit coupled with the fact I had no low profile video cards in my stockpile to give her was creating a maddening hurdle. Thanks for sharing. I have a 7300LE, in an Asus P5NSLI motherboard. The installation of the driver seemed to be going well, with normal resolution and dual screen operation returning during the installation and the Device manager showing the presence of the 7300 graphics card. Then suddenly the installation failed and everything reverted single screen and wrong resolution. I’ve now got it to install correctly. I had to disable the Comodo firewall and antivirus package before the install would stick. First, thanks so much for your instructions here. Helped me get my 7950GTX (notebook Go series) working with Win10 64bit. However drivers 179.48 wouldn’t allow newer games to load (Darkest Dungeon for example). So after lots of hunting and research I think I have something to contribute. 6) once rebooted, install the drivers as you would normally. I only installed the driver and the physics driver. Click to install driver anyway when prompted about these drivings not being signed. SONY VPCL11S1E with GEFORCE G210M successfully upgraded to Windows 10 using this method. Had to go all the way through modifying .INF file and forcing the unsigned drivers to install but the result is AMAZING!!! Thank you for your time and effort to share. Hi. I used this procedure with the 307.68 driver for my Dell E1505 with T7200 CPU, 4 GB RAM and GeForce Go 7300, It worked well. It ran into an error, presumably while trying to update the video driver, but completed and was usable after applying the driver. I had Memory Management error on shutdown a few times, but nothing serious or a show stopper after about a week so far. Thank you so much for this article. Ivan thanks for providing this information and downloads, took a while but let me achieve my goal. Windows 10 Home 64bit on Acer Aspire X1700 with Nvidia Geforce 7100/nForce 630i. I was having problems with display coming up with washed out colors when returning from sleep. Nvidia driver finder advised that latest driver was installed, although in Device Manager it showed as Microsoft Basic Display. Installed last updated WHQL driver (309.08) per your instructions and it works like a champ. Thanks! Many thanks for this. Our old desktop has NVIDIA GeForce 7025 / nForce 630a and when I had previously tried to update to Windows 10 it was a nightmare due to graphics card issues. However, your instructions worked like a dream. Had a few issues, namely once Windows 10 had installed the PC shut down to restart but I ended up with a black screen. Some Google searching and I managed to get it back so I could update the NVIDIA driver. Still got a bit of a delay on start up so checking on that and had to search to up to date driver for our TP Link wireless adapter but now all seems fine. Once again thank you for such clear guidance. 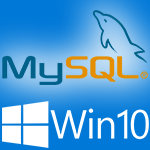 Hi, thanks a lot, got Windows 10 following your links and advice. I was planning to buy a new desktop, but this will survive a while longer. Very Good! Thank you very much, I almost had given up installing Win10 on my Dell XPS M1710 until I found your post. Now it works with the Nvidia GO 7950 GTX. I installed Win10 32-bit with the driver 307.68. It can’t be installed with setup.exe directly, but to right click on “microsoft basic driver”, then choose to update driver, browse the folder of driver 307.68, it upgrade to Nvidia GO 7950 GTX successfully at last. Thanks again for driver 307.68 which I even did not find on Nvidia download center and driver 179.48 did not work at all. Thanks, this worked a treat. You can now add the GeForce 6200 LE to your list of graphics cards this worked for. Thank you, Thank you, THANK YOU. I installed Windows 10 and it said that nvidia geforce 6150SE nforce 430 was not compatible and that I would have problems with the display. They were right. It made my head hurt. Your download worked! One minute into the download the screen refreshed and it was back to normal. Thank you. I have been trying to learn how to get around the NVIDIA message since last year when Windows 10 was first available, and I had my doubts about this solution. However, it worked like a charm. After Windows 10 installed, installed the 309.08 Driver and everything worked like a charm, as well. I did not have to adjust resolution. I did have a minor problem with an HP2420 Printer, but got that resolved, as well. My NVIDIA driver was GeForce 6150SE nForce 430. Thanks again, and I would be delighted to treat you to a beer, or something stronger, or several, if we should meet up some day. Text me if you are ever in Sarasota, FL. It worked for me as well. Video driver is Nvidia GeForce 7025 / nforce 630a just like what the compatibility problems showed. The only problem I had is that the it would automatically boot with the USB stick on which the Installer was installed, and I would have to do F12 to boot from my hard drive. Thank you so much. You can change the boot order in the BIOS settings. Ivan, I have a system that I am trying to update to Windows 10 with an NVIDIA Quadro FX 3450/4000 SDI graphics card and I was wondering if the above steps that you defined would work for my system. The error that I get is that the NVIDIA card is not compatible with Windows 10. Yes, it will work. When Windows 10 starts, install the latest driver for Windows 8 available: Quadro/Tesla 309.08 (64-bit). The list of all supported products is here. I have Windows 10 x64 installed in my HP tx1320us, basic MS display driver is fighting hard to stay there. I have downloaded geforce drivers 179.48, 307.68, 309.08. The GPU is a GeForce Go 6150 and I see it listed as a working driver, but I haven’t been able to make it work (the installers say they can’t find compatible hardware and manual installation on Device Manager says the generic driver is still the best match available). I could finally make it! But I had to use the latest driver provided by HP on the computer, which was 167.43 under hotfix package sp38221. If the provided drivers in this post doesn’t get it done, then try whatever is the latest driver from the manufacturer (I had to do some manual copying of files or you can just use the default location where the files get extracted to – HP extracts by default to C:\swsetup\ ). Hope this helps a bit more! Thanks for sharing! 🙂 I just added the GeForce 259.47 driver which is compatible with your model. I also have the GeForce Go 6150 video card in an old HP dv2310US 64-bit, and can confirm that using the 259.47 driver above has worked successfully. Thanks! I have a HP laptop with Nvidia GeForce GO 7400 graphics card, use Windows 10 Pro 64-bit. Nvidia driver 259.47 version works with “normal” installation. Nvidia driver 309.08 and 341.92 versions work with installation with file nv_dispi.inf modified by me. But with these drivers is not enabled the graphics accelerator. In Firefox about:support I have “Windows GPU-accelerated 0/1 Basic (OMCT)” and should be “1/1 Direct3D 11 (OMCT)”. Do you have a solution? Thanks for this fix, I got the incompatible message when I first tried the upgrade from the Icon. I used your tool and the whole process went without a hitch. I did not need to install a new driver, PC runs OK. Your advice worked perfectly for my desktop with NVIDIA GeForce 7300 LE and two screens. I had no need to adjust the screen definition. 309.08 worked great for my GForce 7300GT! I’ll buy you a beer! Thank you! I appreciate the directions you gave, but more than that I appreciate the links that you provided! I have the NVIDIA GeForce 7300 LE on a 64 bit machine with 6 GB or RAM. There was absolutely no problem with upgrading my Windows 7 machine to Windows 10. I upgraded the drivers as you suggested and am back to the original, native resolution of my monitor. It worked real fine with NVIDIA GeForce 6600 LE. Thank you! 309.08 worked great for my GForce 7300 LE. Cheers! I have a GeForce 6150SE nForce 430. I used your link to download Windows 10 and installed it. Now it starts up to a screen with “Hi there, welcome back!” with a “Next” button in bottom right corner. I click it several times and nothing happens or the computer just restarts! What can I do? I can’t even use my computer now. Some users solved that by waiting after clicking Next just once, and others unplugging USB devices like USB WiFi. Works out just fine. I have an Optiplex 740 (with GeForce 6150 LE) running Win7. The update to Win10 was refused due to 6150 LE, but installation from an USB-stick was successful. But needs to re-install the 309.08 driver after, though it was installed previously. Screen flickers sometimes during start up. But is stable afterwards. Dude you are amazing!! All i wanted was that last thing on your post before the video! I had contacted microsoft and nvidia and none of them could help me! They both told me to contact gigabyte the manufacturer of the gpu! So I am very happy to have found your post! You are amazing! I gave up trying to upgrade to Windows 10 when I received the error message. I ended up buying a new laptop. But I still like my desktop with all of my files on it. So I googled the error message and came upon this page. I don’t prefer to buy you a beer but what you do with my lowly donation is up to you. In reality, I should owe you a couple of hundred dollars. You rock! Thank you so much. Sheila, thank you very much for your donation! 😃 I’m glad I could help you! Wow! Thank you! I finally decided to give Win 10 a try. My only issue after upgrading was the resolution. My monitors native resolution is 1680×1050 and no adapter or fix would find this resolution (the monitor manufacturer is gone and website/drivers removed from Internet). Reinstalling the Nvidia drivers I had didn’t work. I couldn’t even open Nvidia Control Panel (processes wouldn’t start). I uninstalled everything Nvidia and searched and searched for the correct drivers with NCP included that would work. Even the Nvidia site was confused about which components I have installed (auto scan found one set GeForce scan found another) On a whim I tried this solution, and finally I have the resolution I need. I also learned I do in fact have the 6150 LE set. Thanks Ivan, life saver! Thank you. I have a brand new but dated PC that I hoarded in the garage that I never got to use; before I threw it out, I wanted to upgrade it to Win10 and ran into exact problems your page helped to resolve. Needless to say, I got this old machine working and will probably let my elementary school kid use it for very basic computing work. Thanks again! So helpful, you saved me a few hundred! Had an old HP pavilion mini desktop, with a 1080 resolution after Win10 upgrade (forced from USB). Your nVidia set up got me into Windows 10 thanks! I cannot get the driver to work on my card which appears to be a GT216. Any thoughts? Your model has drivers for Win 10, try the latest 341.95 driver. If that doesn’t work, try the 259.47 driver from the Notebooks section. I checked the internal file and it supports GeForce GT 220. Finally got it to work by downloading the 259.47 driver then going through the device driver update process. Did the download for 341.95 driver but it say it cannot identify compatible hardware. What a pain! I followed your instructions and did not have any problems at all. I downloaded the driver for GeForce 6600 GT for 64-bit from your link onto a flashdrive, copied it to my desktop and ran it from there. Everything went perfectly, no need to adjust resolution either!! Thank you for this post!!! Quick question, can I upgrade to the latest Nvidia drivers or are they incompatible with my 7800GTX? First, you can keep your personal files and apps by using the Microsoft Media Creation Tool. So, you didn’t need to do that swap :). 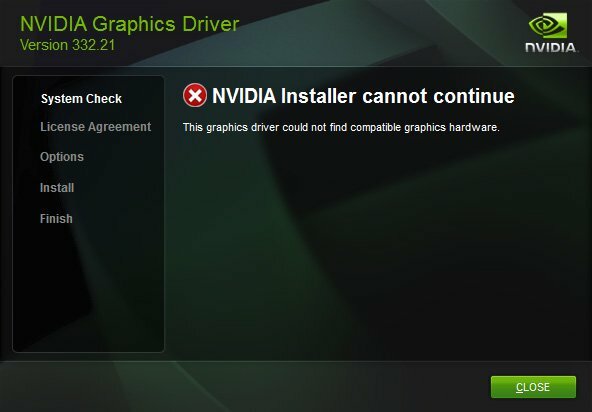 Latest Nvidia drivers are not compatible with your GeForce 7 Series, the one in the post (309.08) is the latest driver available for your model. Followed these instructions and got my unsupported NVIDIA GeForce 7300 GT recognized, even though NVIDIA doesn’t provide compatibility support for this GPU in W10. THANKS for making W10 install work. Thanks for the post again. I used this earlier in the year upgrading to Windows 10 and my drivers worked great, and then a Windows update must have wiped them out. I reloaded the drivers from this post and they are working again! Instructions are Great – Worked like a charm including the graphics driver update. Thank You! I had the 7 Home Edition and keep getting NVIDIA was not compatible with Win10. Done Awesome and I am Not techy! With your simple instructions I was able to install windows 10 and the NVIDIA GeForce 6150SE nForce 430 driver. Excellent experience thanks to your support. Followed your advice and my 6600 graphics card and monitors are working as they should. Using your principles I also found a generic Realtek driver that made my built in audio work. Thank you. Your very clear instructions made the task simple and very straightforward. I shall bookmark your site. Update was to an MS 7309 motherboard with GeForce 6100 nForce 405 used for streaming to a TV at my church. Thank you from a French guy that have wasted so much time trying to fix an issue with a GeForce 6600GT when upgraded to Windows10, before finding your post! Hi, have same problem instaling Win 10 (NVIDIA GeForce 7650 GS) message about un compatibility. Find your page, thanks god. Finally (after a years wait) I could Install Windows 10 on my GeForce 7025 / nForce 630a machine by following the instructions. Upgraded my desktop OK using your basic instructions. I successfully installed Windows 10 Home on my old Medion computer with an Intel Pentium d 830 and the GeForce 6700 XL video card on good resolution. Worked great without issues on two desktops with GE Force 6150 LE and GE Force 6150 SE. Saved from getting new graphics cards after installing Windows 10. Thank you very much. Awesome… was considering a new video card but came across your post. Now my dual monitors work! You are an absolute genius! You saved me from buying a new graphics card and it works absolutely perfect! Thank you for the help! Спасибо очень помог обновил видяху 7600. The article helped updated the video card 7600 GS. Using Nvida GeForce 6150SE. The download makes the screen look better and I got back Sleep mode which was missing with the Microsoft generic driver. Thanks again for all your hard work on this problem. Great advice! I’ve been screwing around trying to get my computer to upgrade to Win 10 but Win 10 didn’t like my nvidia video installation. Followed your advice for the Media creation tool and the latest nvidia drivers. Took a couple of hours, maybe more, but the upgrade went smoothly and am now using Win 10. Whether that’s improvement or not, remains to be seen. Thanks man. Works great. Thanks for the simple link for the drivers. This is an extremely useful and informative article. I followed the Media creation tool 32 bit route for an Acer Aspire 5610 with Geforce GO 7300 graphics, upgrading from Windows 8.1 Pro 32 bit. It worked fine, apart from the expected ‘too large’ screen format. Then it was just a matter of installing the 307.68 32 bit drivers and I had my native 1280 x 800 screen resolution back. Many, many thanks, Ivan. You saved my day (and computer). Thank you. It worked well for me cause at first I could not upgrade my PC from Win7 to Win10 following an issue with my Nvidia Geforce 7300 GT graphic card. After using Microsoft Media Creation Tool.exe file, I had to go to folder c:/ESD/Windows/ and launched setup.exe file to begin Windows 10 upgrade. I also installed the driver 309.08 in Win10 when it was installed. Windows 10 is working well and there is no problem with my Nvidia graphic card! driver worked for NVIDIA GeForce 7600 GS thanks for the tips ! Die einzige korrekte Anleitung die ich gefunden habe. Hat super geklappt auf einem Packard Bell SJ51 Laptop (GeForce 7000M). Habe WIN10 mit Hilfe des mit dem Mediatool hergestellten USB Stick’s unter Beibebehaltung aller Daten von meinen WIN 7 installiert, dann den Treiber wie hier beschrieben installiert, Neustart und läuft. Hello Ivan, many thanks for the great work! I have an old notebook from Acer TravelMate 7514 with a Nvidia GeForce Go 6100. Microsoft Update didn’t work. Your way… the Media Creation Tool and then the driver for the Notebook – Nvidia 307.68 works very well. So I had no problem to upgrade from Win 7 32-bit to Win 10. Thank you also for the link to the Nvidia drivers. GREAT WORK! Confirmed it works on Dell XPS Gen2 with GeForce Go 7800 GTX. 🙂 Thanks! I wanted to share my success with an onboard Geforce 6150 nforce 430 graphics Windows 10 driver battle. The motherboard is ASUS M2NPV-MX. When installing latest nvidia drivers, the dwm.exe and Internet Explorer was getting crashed. The solution for this board is the same for both Win7 and Win10, here is the driver comes to the rescue: 197.45 (32-bit). 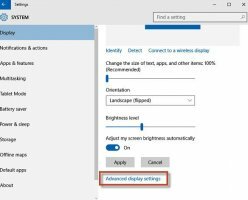 You need to install the 197.45 driver to Win10 and you will have the widescreen resolutions back. Other drivers I tried kept Win10 at booting logo screen in a loop, had to hit reset button 3 times to get the advanced settings option being offered. Wonder how the Microsoft engineers come with an idiotic idea such as disabling menu boot options… Damage your harddrive and you can get it! Everything worked perfect to install Windows 10 and the driver for my NVIDIA GEFORCE 6200 on my 13 year old computer. Thanks very much! Hi Ivan, I woke up yesterday to find my display set at 1024×768. I am running Windows 10 with a NVIDIA GeForce 7600 GT and a Samsung SyncMaster 215TW monitor. The native resolution for this monitor is 1680×1050 and this is always what I have it set to. Everything has been working fine since I upgraded to Windows 10 six months ago. Everything is displayed correctly in Device Manager. I am using a DVI cable. My suspicion because of this behavior is I have a dodgy DVI cable, my monitor cannot receive the higher resolution (it could before) or the monitor driver is the culprit. I will try changing each of these individually and see what I can find out. I thought I couldn’t have windows 10. My NVIDIA GeForce 6150 LE was not compatible. This site saved me from having to purchase a new computer knowing I am perfectly happy with my current one. The directions were easy to follow and everything worked just as stated here! I’m not super computer savvy and didn’t think i could do it. Thank you, thank you, a thousand times thank you!!! I am so grateful for this post. I upgraded to Windows 10 a month ago and thought I would be stuck to a single screen for-ev-er! IvanRF is a genius in my book. My GeForce 7150M / nForce 630M was not working when I upgraded my old HP DV6700 Entertainment PC. I used the GeForce 179.48 (64-bit) followed the instructions and everything now works perfectly. I owe you a drink… I’m pulling up the paypal now. Enjoy a round on me friend. many many thanks – this was turning into a nightmanre – until I came across you help! I just bought you a beer! Cheers! Thank you, Ivan, for your helpful post. A beer is on the way! Thanks Ivan for the post. Excellent, worked as described. Had Windows 7 Home Basic with GeForce 7300 GT. Selected Windows 10 Pro, it took 1 hour to download. When the upgrade started it refused to do it. A little research pointed me to the upgrade table. Win 7 Home Basic, should migrate to Windows 10 Home and so on. Downloaded again the proper version and followed steps without problem. Required to manually change video drivers as explained in your post. I’m having the graphics compatibility issue as well. I’m trying to resolve it on an Alienware 17 R5 laptop with a GTX 980M. I saw there was no mention of the 900 series in the article or in any of the comments so I wanted to ask is this method would apply to my machine as well. I should probably mention that this card was purchased additionally (original gpu was a GTX 770M), and so I have to run it with a modded driver. Haven’t made up my mind on upgrading my OS (current one is 8.1) but I’d like to have the option. The GeForce 900M Series has drivers for Win10, you can find them here. You can follow the same procedure to install Win10 and then use those drivers. Just upgraded to Windows 10 following your instructions. Worked beautifully! Display is a little fuzzy with the new driver but I can live with it. Thanks! It works perfect for Nvidia 7600GT! Hi Ivan, I followed your instructions step by step and with the GeForce 307.68 Driver (32-bit) my 9 year old Toshiba Satego P100-490 with GeForce Go 7900 GS, with an new SSD an 4 GB ram works excellent with Windows 10 like a new one – I updated from Windows 7. It worked, my friend, for the GeForce 6150 LE. Thanks for the solution — very helpful! Upgraded with a GeForce GTX 660 which stopped on the video driver concern. Had to run the manual upgrade via USB drive. Worked fine but you have to remove the drive before the program restarts or it will repeat the first part. It gives you time to unplug when it says program must restart. Interestingly enough, Win 10 found the latest driver by itself. It just worked with the proper screen resolution. I like it! Thanks for the help. Thanks for showing a way to successfully get more modern drivers (307.68) on a Compaq f763nr notebook with GeForce 7000M / nForce 610M display adapter. I came across your site trying to solve the Windows 10 desktop constantly refreshing itself after upgrading from Windows 7. What finally solved that was installing the Cumulative Update for Windows 10 version 1511 (KB3172985). It’s fun being able to get useful computing life from an almost seven year old notebook computer. Just upgraded and installed new driver. Worked perfectly! I just finished upgrading my desktop to Windows 10 Pro From Windows 8.1 Pro With NVIDIA GeForce 6800. I followed the instructions exactly and It installed without a hitch – Flawlessly. I am very grateful for this web posting as I was trying to cope with the fact that I would be stuck with Windows 8.1 which I hate (using Classic Shell to make 8.1 tolerable) instead of Windows 10 which I love (as is without Classic Shell). I installed the Media Creation tool as instructed. Installed Windows 10 as instructed. Seemed to work fine, but the appearance of the screens were awful. Installed the GeForce 309.08 32 bit driver. Looks great. Thanks a lot, you gave me the courage to install Windows 10. My GF 6800 GS is working now in 1920×1680 resolution! By the way: I didn’t use your trick with the Mediacreationtool. Somewhere on the Internet I found the trick to download the win10-iso directly with Firefox in XP-COMPATIBILITY mode. For no specific reason I unpacked intuitively the iso to a folder with 7-zip, run setup.exe with no updates, left the computer alone for an hour, et voila! Afterwards I only had to install the Nvidia driver. With much gratitude, Ivan. I really did appreciate your helpful site. Mary, thank you very much for your donation! 😃 I’m glad I could help you! Great help in updating to Windows 10. Transferring from Windows 7 with GeForce 6150SE nForce 430 was no problem using 309.08 (64-bit) drivers from link. Old Dell with Pentium D and GeForce 7300 LE. W10 upgrade adviser said ‘Unable” due to GPU. Used the MediaCreationTool to successfully upgrade to W10 (after having to use “cmd > Right click “Run as Administrator > “net stop wuauserv” to slap the hung-up “getting updates” program 3 times to knock’er loose and finish). NVIDIA website actually lists only the 32bit driver 309.08 as the most recent, so I used your link for the 64bit instead of wasting time pondering over that too much. All is now working well. Thank you for such clear and concisely written/pictorialized instructions. Too many advisors supply cryptic instructions that require parallel searching to understand how to even accomplish the individual steps they are advising. This was my saver for getting Windows 10 to work on my Acer aspire 7520 notebook from 2007. I got help from the YouTube video you have linked to on your site and I got the 309.08 64-bit version I downloaded installed. Without this I would have been stuck with no Windows 10 or I had to operate it with generic driver which gave only 32 colours and lousy letters. Thank you Ivan. I spent hours at the Nvidia website trying to find a driver that would work with a 64 bit Windows 10 computer using the Nvidia 6150se graphics adapter. The Nvidia “auto scan” claimed my computer already had the best available software, which was obviously incorrect. Then I tried manually selecting any software that was listed for Windows 10 64 bit computers. That was a waste of time. Your method worked. It is truly amazing that neither Windows Updates nor the Nvidia “auto update” process can figure out your method, given they are mega-size corporations with a zillion software experts. Thank you so much Ivan! The auto driver detect on the Nvidia website said I had the latest available driver, but downloading 309.08 from your website allowed me to set the resolution to the proper 1920×1080! I have an old Dell E521 with Nvidia GeForce 6150 LE and a Dell S2209W monitor. Thank you again very much! Just upgraded to Win 10 after a lot of consternation about display problems. I had the GeForce 6150SE nForce 430 driver and was ready to download the 309.08 as instructed above. Guess what? I didn’t need it! Maybe Microsoft made some changes because the Win 10 update now shows that I’m using the Microsoft Basic Display Adapter and everything seems to be working fine. Thank you Ivan for this page and others to give me (a neophyte) the confidence to make the upgrade. You still need to install the NVIDIA driver. Otherwise you will have a “basic” screen resolution, like 1024×768 for instance. Thank you so much, I have been pulling my hair trying to replace this card and no newer card would work (tried 3). Couldn’t update the bios or anything. This has fixed my problem using my existing hardware so it actually saved me some money as well. Thank you, thank you, thank you. Thank you, thank you, thank you soooo much. 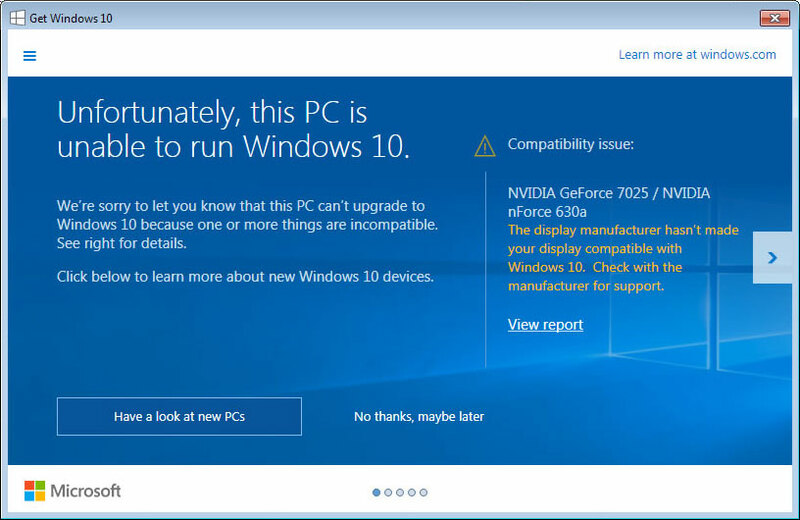 I’d been putting off my Win 10 upgrade – NVIDIA GeForce 7900 incompatibility. With just a few hours left (free Windows 10 upgrade ends TODAY 29th July!!!) I followed your instructions and installation went smoothly! You’re so AWESOME!!! Thank you. Unfortunate my GeForce 7025 / NVIDIA nForce 630a is also not compatible, I have followed your instruction but it is still looping on ‘Checking for updates’ for almost an hour now. Do I have to restart your media creation tool, or does it just takes that long? Check this comment. Try what he says in case the update is stuck. THANK YOU so VERY much! GeForce 6150SE nForce 430 driver update to Windows 10. I followed your directions, thank you for including the downloads for Media Creation and GeForce 309.08 driver (32). You are the GREATEST! Savings $150.00 (not having to pay for Windows 10 update). Hello, just to let you folks to know, I used procedure above for ACER Aspire 4520 with GeForce 7000M / nForce 610M using 307.68 32-bit driver. Everything ran smoothly and fine just running Setup.exe. Thanks a lot for help! THX very much! had Windows 7 32-bit and upgraded it to Windows 10, but then I had only 5-8 fps. I downloaded Media creation tool and I have 30 fps again. I had Nvidia GeForce 6150SE nforce 430. Thanks so much for the simple explanation and easy fix. I, too, received that error notification so many times that I called Windows helpline. Finally, after finding my 2008 Toshiba laptop couldn’t install the “free” update (after upgrading to Windows 7 from Vista) due to compatibility issues… I found your solution to my 2008 Dell Desktop Computer Monitor to work easily. I went ahead and installed Windows 10 as a reinstall as the deadline had passed. Then I went back to your page, downloaded the correct NVIDIA (32-bit) and fixed the screen resolution immediately. Whew… What a relief to see normal text again. Thanks so much for your fix. Ivan, it works perfectly with my GeForce Go 6200 of a 2005 Sony Vaio VGN-FS415S! Terrific!!! Has anyone experienced repeated system hangs with the 179.48 or 259.47 drivers? I upgraded an Acer 5680 laptop with a GeForce Go 7600 to Windows 10 64-bit. I tested the 179.48 driver package although I had to manually update the actual drivers. I had good success for about a week when the laptop screen would freeze or I was unable to unlock the laptop. I was not able to determine any change that might have triggered the problems. Most of the time the laptop was unresponsive to both mouse and keyboard input, although a few times I could move the mouse pointer. Otherwise, the only solution was a hard reset. Reverting back to the Microsoft basic driver stabilized the system. The 259.47 driver package showed the same symptoms. I could not see any pattern in the System or Application event logs. Yes, I experienced exactly the same after applying the Windows 10 Anniversary Update recently with both driver versions you mentioned. I have a Dell Inspiron 9400/E1705 with a Geforce Go 7900 GS. I downloaded the Dell Windows 8 x64 driver (307.68) for Quadro graphics chip and added my card to the *.inf file manually as per video instructions above. Issue seems to be solved after using the laptop on a few occasions since. Marc, thanks for the update. After further testing, I think my problem may have been a cooling issue affecting the GPU which seems more affected by high temperatures than the Intel processor. Since using an external extractor fan to increase airflow, I have not had any more hangs. If the problem reoccurs, I will test out the 307.68 driver. I must add that it previously worked for almost a year on Windows 10 with the 259.47 drivers. Only after applying the Anniversary Update my laptop started to freeze after a few minutes regularly. With the modded 307.68 it is working again flawlessly. Noticing some flickering with a GeForce 7300 LE card on external monitors (projectors) since the Anniversary Update. I am running the 309.08 driver. Anyone else? Any newer driver available? Seems to have worked on my BioStar TF7050-M2 Motherboard (GeForce 7050PV / nForce630a chipset). Only future use will tell if will be stable. I know in the past with XP if I did not stick with supported drivers from BioStar the system eventually became unstable. But I believe this will work until I go back and do a clean install of Win 7. Works fine here 307.68 driver on Geforce 7600. Stable for more than two months. Laptop is almost on 24 hours a day. If you encounter any issues try earlier 179.48 drivers. They function properly too. I can’t believe it was so easy to fix GeForce 7150M / nForce 630M on Windows 10 Pro x64 for my old HP dv9925nr using the last procedure. Great thanks for your help! I fixed the problem easily by your instructions. Successfully updated my NVIDIA GeForce Go 7800 on a Dell Inspiron E1705 running Windows 10 Pro 64-bit using version 259.47. Resolution now 1440×900. Sent you a beer. Much appreciated! Successfully updated my NVIDIA GeForce 7950GT on my Asus P5K-VM PC running Windows 10 Pro 32 bit. Saved a lot of sweat! Thank you for solving graphic driver update to Windows 10. I’m using ASRock N68C-GS FX (GeForce 7025 / nForce 630a). I used your method and it worked perfectly. I also discovered that the driver link that you posted is the one that must be used not the one in Nvidia website. Thanks. I just performed a clean install of Windows 10 over my Windows XP (successfully). I have two screens attached to my pc. The secondary screen is attached through a USB to DVI adaptor. However, since upgrading to Windows 10 I cannot get the secondary screen to work. The main screen works fine. According to the manufacturers of the USB adaptor the driver is not correct. On looking I see that the Microsoft Basic Display Adaptor is installed under display adaptors instead of a specific one. I actually have a GeForce 7025 / Nvidia nForce 630a graphics card. I contacted Nvidia and they told me in no uncertain terms that this graphics chipset is not supported by Windows 10 and that there are no drivers for this for Windows 10. They said I either have to downgrade to Windows 7 or buy a new pc! Yes, the driver should work for your case. Other users reported that the driver worked fine with two monitors. Amazing, it works! Thank you so much!!! I still cannot believe that the makers of the USB Adaptor and Nvidia both told me it was not possible. This is an old desktop PC in my dad’s office and he kept complaining about the laggy display ever since I upgraded it to Windows 10. Have tried looking for drivers a few times already, but it seems today was my lucky day that I came across your website. Thanks again! Thanks, but the drivers for NVIDIA GeForce 6 or 7 Series work on Windows 10 Creators Update? Has anyone already installed them? thank you. I am having the same question for a Geforce Go 7600 on my laptop. I am using so far the 307.68 driver which functions properly. I have updated to Windows 10 Pro but not yet to Creations. I wonder what will happen when I update. We have installed to four PCs, Windows 10 Creators Update with GeForce 6 and 7 series video cards. So far, only the usual problem of Windows 10 loading the default Microsoft video driver, then we have to load the GeForce driver to replace the Microsoft driver. The same goes for the monitor driver. The cab file 259.47 worked for me on my HP dv9000 with the 7150M. What was happening for whatever reason is once I installed the drivers I had found the screen would go black entering Windows and would only work fine if I plugged in an external monitor and turned the computer on with it and hit fn f4 to switch screens. So after trying every file here, I tried the cab file last [extracted and updated driver file in Device Manager] and now finally I can turn on the laptop without an external monitor and get video on Windows. Did a Windows 10 clean install on an old-but-usable dual core HP Pavilion dv2840se, originally running Vista. Graphics chip is an on-board Nvidia GeForce 7150M chip. Under the standard clunky Windows basic graphics driver the highest resolution was 1024×768, unusable with my 14″ screen. Spent 2 days trying to find the old Vista Nvidia driver and got no-where until I came across this site. Worked flawlessly, and now I have my 1280×800 back! I have a couple of GeForce 7900 GS on a nForce 680i and after 10 years of Win7 Ult. I decided to give Win10 a try and updated to 1703. Using 309.08 on Win10 made a crash every time I was pushing a little bit (with a big file-copy task). After hours of trying, got the SLI out and left one card and voila!, no crashes anymore. Anyone with a double card in SLI setup who make 309.08 work on Win10 1703? eMachine e1810 with an embedded Nvidia 7050. This was a client’s computer that needed a refresh and I put on Windows 10 without knowing the 7050 wasn’t compatible. I had already purchase the Win10 product key. I couldn’t find a cheap compatible video card to put it. The machine was hopeless. I was going to give up, go back to Windows 7 and just eat the cost of the Windows 10 key. I was about to install a grey market Windows 7, but I did another web search out of desperation and found you. You saved the day! I’ll take your mail any day. Many thanks for this, have been scratching my head for ages trying to get my GeForce working. I have an HP Media Center PC from late 2007 (the m7757c model with GeForce 7500 LE) originally running Vista 32 bit, Intel Core 2 Duo 2.13GHz, 2GB of RAM, then upgraded to Win7 64 bit because the processor could support 64 bit OS, and then just last night Windows 10. Originally had the issue to which this post is oriented towards. My solution was to just save the driver .exe file to my recovery partition on Windows 7 before the upgrade and then once Windows 10 had installed, I just found the driver and installed it and everything was back to normal with screen resolution. It was easy for me and had no issues at all. I have an old Sony Vaio VGN-SZ3XWP/C laptop, that I upgraded from Win XP to Win 10 a while ago, which has a GeForce Go 7400. I managed to get this working OK with the original upgrade, but it reverted with the last major update. Your fix worked well – very easy to follow and execute. So many thanks! I upgraded an old eMachines 1831-07 with an embedded NVIDIA Geforce 7050 to Win 10. It had absolutely horrible graphics with the stock Microsoft driver – pretty much unreadable. I downloaded the NVIDIA current driver (309.08) and updated the video driver. It did not work on the first try, but then I realized that I had to run it as administrator. Thanks so much for all the help! GeForce Go 6400 отлично работает Windows 10 на ноутбуке SONY VAIO VGN-FS315SR с драйверами 307.68 можно ставить зелёную галочку (GeForce Go 6400 works fine on Windows 10 on a laptop SONY VAIO VGN-FS315SR with drivers 307.68, you can put a green tick). I’ve recently upgraded to Windows 10, having previously been stumped by this compatibility notification (I have NVIDIA GeForce 7025 / NVIDIA nForce 630a). However at this attempt Windows 10 just loaded, without issue, including Microsoft Basic Display Adapter (I checked in Device manager), but that wouldn’t allow me to change my screen resolution to 1920×1080. The driver above worked. Definitely worth a beer. The latest Windows 10 (1709) x64 with nVidia Geforce 6600 GT on a very, very old computer. Now all working fine using your driver link. It also seems to have cured the computer freezing after a while. I was having to consider getting a whole new rig for a relative who has little funds. That was until I found your site. So, many thanks for your help Ivan. thanks a lot, still works! Dude, I’m so happy… you’re awesome! I’m about to leave on a trip, left 4 machines on a school and one of them was not working: you fixed it! Thanks a bunch!!! It’s a ASRock N68-VS3 FX motherboard with the GeForce 7025 chip. It’s connected to a Dell E1910 monitor. I wasn’t being able to get the 1440×900 resolution the user needed. I’ll have a nice trip now! Once more, thanks!!! Just upgraded an HP Pavilion Media Center a1637c with NVIDIA GeForce 6150 LE to Windows 10. Windows installed only the basic display driver with resolution 1024×768. The NVIDIA link you supplied at the top downloads a working driver for this system: GeForce 309.08 (32-bit). Now I have 1440×900. Thank you so very much! READ THIS! the 309.08 drivers will work under certain versions of Win10 but not well with the Win10 Fall Creators update as they may produce BSOD errors on that release. Unfortunately I can confirm this is happening. I started having BSOD errors after upgrading to Windows 10 Fall Creators Update (version 1709) on my NVIDIA GeForce 7025 / NVIDIA nForce 630a. They are not frequent, but it was not happening with the previous Windows 10 version. Does the BSOD problems with GeForce 7025 / nForce 630a occur with the 2018 spring creators update (1803) release? I had been unable to reproduce the BSOD crashes on my HP pavilion m8417c with Win10 v1709 FCU which has the onboard nForce 430 / GeForce 6150SE hardware, unless I missed doing some intense video rendering. Yes, a few days ago I had some BSOD errors, so this is still happening on the latest Windows 10 version 1803 for the GeForce 7025 / nForce 630a. Thank you. GeForce 7000M worked with the 307.68 drivers (64-bit). I also tried the ‘beta’ Windows 10 drivers on the Nvidia site but they refuse to install for the 7000M. I just did a fresh install of Windows 10 Pro v1803 x64 on an HP desktop PC using onboard Geforce 6150SE and I did not encounter any BSOD errors on there. Graphics performance for the 6150SE seem to be a little faster in the 1803 version – I also had the KB4100403 CU installed on there which probably wasn’t available at the time you mentioned the BSOD problem in v1803. By the way, I always do a CUSTOM install of the nVidia 309.08 drivers, excluding the “Nvidia Update” component, double-clicking on the setup.exe file from the “Nvidia” folder. I realize that installing the graphics drivers thru Device Manager will always install the graphics driver plus the “nvidia update” feature, which prevents the Win10 rollback option to revert to an older build of Win10 from working successfully. Better to use the setup.exe file to install the graphics drivers and do a custom install of them, without installing the “nvidia update” feature since there’s not gonna be any new drivers for these old nvidia graphics devices anyway. Windows 10 October 2018 Update (aka. 1809 – Redstone 5) recently came out on Oct. 2 and I have not experienced any BSOD errors on my HP computer with the onboard nVidia geforce 6150SE graphics (nforce 430 chipset). If problems do crop up, perhaps it is time to use an older LTSB/LTSC version of Windows 10 like LTSB 2016 (based on the 1607 anniversary update) which will receive updates for ten years [LTSB 2015 (1507) gets updates until year 2025 and LTSB 2016 (1607) gets updates until year 2026. No guarantees that future releases of “normal” Windows 10 editions (like Home, Pro, Education & Enterprise) will continue to work with old nvidia graphics hardware. dude thank you!!! I had other problem “run time error” coz I didn’t download all Microsoft Visual C, I downloaded all and the driver installation run smooth, thanks! I tried the Nvidia 307.68 64-bit driver on Windows 10 1809 17763.379 HP laptop with Nvidia GeForce GO 7400 graphics card. The installation has been completed. In the 307.68 32bit and 64bit drivers, for GeForce Go Series, have you modified the .inf file or not? Where did you find these drivers? Thanks, greetings and excuse me for my bad English. No, I did not modified the drivers. As I mentioned in the post, both drivers come from Windows Update (also known as Microsoft Update Catalog).